Do You Know How to Safely Jump a Starter When Your Battery's Died? Home/Car & Driving Tips, Repairs & Maintenance/Do You Know How to Jump a Starter? Most of us have been there. You’re rushing out the door to head to school/work/pick up your kids and that dreaded thing happens – your car won’t start! When this happens, you have a few choices to get your battery charged up and your car running again – find your jumper cables and someone with a car that can help jump start your car or call a roadside assistance service. Most of us can deal with this. However, what happens if your car does not start after the battery has been jumped? You might need to jump the starter. 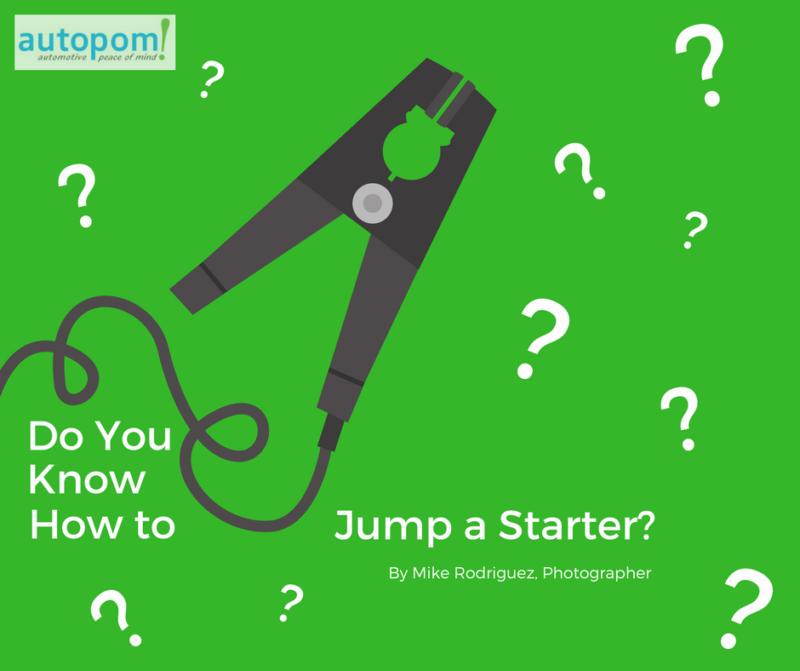 This begs the question, do you know how to jump a starter? My guess is probably not. However, you can do a quick Google and/or YouTube search and read or watch all about how to jump a starter. I did this and what I learned is that you probably shouldn’t do it. Most experts recommend that you do not jump a starter. Why would this be the case if there are instructions for it all over the internet? First of all, many new cars’ starters may not even be able to be jumped manually; and secondly, trying to jump a starter could be dangerous. Car batteries contain lead and sulphuric acid. A by-product of the process is hydrogen gas which is highly flammable and if a spark occurs (especially inside the battery) it can explode. So what should you do if your car won’t start? We recommend that you call your provider for emergency roadside service. If you think you need AAA for this and/or you can’t afford to pay for a tow, don’t fret. You have options. Have you heard of and considered a vehicle protection plan (VPP)? A VPP covers the cost of certain repairs and problems after the original manufacturer’s warranty expires, and many of these plans include fantastic benefits like roadside assistance and towing! These services can save you from having to jump the starter when your car won’t start. What’s more, a vehicle protection plan can often pay for itself in just one auto repair bill and will give you the peace of mind knowing that your vehicle will be taken care of if a mechanical breakdown happens. So if your car is no longer under the manufacturer’s warranty (or that warranty is expiring soon), a VPP may be worth your consideration.